Do Environmentalists Hate Poor People? 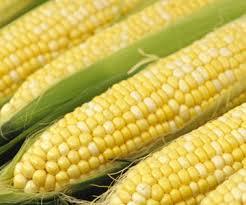 Corn (maize) is now used to produce a motor fuel called ethanol. Ethanol is created by converting corn’s starches into a combustible liquid that can be mixed with gasoline, or burned straight, if the vehicle in question has had the modifications needed to do so.The environmentalists’ propaganda claims that ethanol is good for the earth because it will reduce American dependence on foreign oil. However, there are mixed data about perceived energy gains, and evidence of detrimental environmental impact from the use of ethanol. In 2006, University of Minnesota researchers found that ethanol returns only 25 percent more energy than it takes to produce it. Detractors emphasise that the study did not calculate all the variables that go into the ethanol-making process–to wit, the requisite power to run irrigation equipment used to water the corn crops, the energy consumed in making the necessary fertilizers; the cost of farm equipment used to harvest it, and of the fuel required to power those machines. Recent scientific studies have found ethanol will produce smog–namely, ozone pollution. Everyone wants to get into the ethanol act: automakers, who want their colossal S.U.V.s and trucks to seem like they consume less fuel (they don’t), and the oil industry (it sells oil to producers of ethanol). Ethanol production in the United States rose from 1.6 billion gallons in 2000 to 5 billion gallons in 2006. Ethanol production is diverting at least 20 percent of the U.S. corn crop away from the food industry. Thus, a tortilla crisis burgeons in Mexico, where masa and corn-flour prices have gone up at least 25 percent in price, in a country with a large population of very poor citizens. The “tortilla tax” presents an ironic dilemma: how is it more socially and environmentally responsible to starve the poor to run one’s S.U.V? Soybean prices are expected to hit their second-highest ever, the U.S. Department of Agriculture reports, thanks to the diversion of soybean oil to use as an alternative, “bio-diesel” fuel. The amount of soybeans used for processing biofuel rather than for food has jumped from 2 percent to 12 percent, and is expected to go much higher. So far, Americans have not seemed to notice what is happening to the price of soybean and corn-based comestibles. Just wait till they see the price of beer bubbling up because of the agricultural focus on corn and soybeans, which results in farming fewer barley and hops. The environmentalism cult has already ruined the abundant farming tradition in California’s Central Valley, because of their deference to a minnow that no one had previously heard of–they are “protecting” the miniature, non-food fish while forcing farms to go fallow. These false philanthropists pressured and threatened California leaders to prohibit use of river-water for crops. They don’t want America’s farms to be fertile enough to produce food, but still believe that their “cause” makes them morally superior. Well, how benevolent are they, really, when they cause people to starve because of the lack of produce from western America’s best farming region, not to mention making hundreds of farming families go out of business? How is that good for either people or the economy? A large portion of the enviro-cult is composed of trust-fund babies who couldn’t care less about the realities of average people’s lives; they are a new class of oppressors, just like the ones they claim to abhor. They need to look in the mirror and analyse just how devoid of brotherly love they are, when they sacrifice their fellow human-beings for the sake of “Gaia”. The prices of food will be astronomical as a result of their thug-like behaviour, as I have been saying for many months since learning of the California travesty. Coupled with the new focus on “bio-fuels’, which are a waste of water, oil and other types of energy, the misanthropic environmental cult is going to be controlling your food costs to a degree that even a superpower cannot support. This wouldn’t have happened if certain American leaders hadn’t given into the demands of environmental thugs. Will the U.S. continue to shoot itself in the foot until they are dependent on foreign oil and foreign food as well? Caving in to domestic terrorists will turn freedom’s paradise into a deprived, depraved Hell. Dr. Emanuel, please don’t confuse “office” (which you were appointed to by the president) with “Off us”! Industry Not Supposed to Make Profit? Excoriating EXXON-Mobil for “making a profit” is the trendy thing to do this week. All industries must profit. That’s how they stay in business. That is how they are able to provide jobs. The oil that is needed to run commerce and the general economy–and which many citizens use to heat their homes or drive cars–is produced because the oil company makes a profit. Does the nonsensical blather in the news today herald the end of civilization? Hugo Chavez, dictator of Venezuela and Big Oil chief, is poised to become Pres. Obama’s good buddy. I wonder when the Exxon-Mobil haters are going to start bashing him for making huge oil profits? When Hell freezes over. They would rather stay dependent upon the worst regimes in the world in order to run their Hollywood mansions, limousines and Hummers, while conveniently ignoring the truth. Exxon-Mobil pays taxes that enable lots of the little people they “care about” to get benefits and welfare. The dumbing-down of America has manifested itself in a leadership that knows nothing about economics. America’s chickens are indeed coming home to roost. The coterie of clowns who mindlessly follow fashion are oblivious to the fact that while Wall Street salaries and corporate bonuses are high, and their favorite president will communistically “cap” them, the dizzying heights to which Hollywood salaries and bonuses have soared and remained will continue. How’s that for hypocrisy? With the New Age Head-in-the-Sand Syndrome at its most virulent,the lop-sided double-standard they promote will go unacknowledged. According to some sources today, Democrats are claiming that Senator McCain didn’t “talk about the economy” in his acceptance speech last night. I listened to it. Not only did he address the issue of jobs, homes and the cost of living, he emphasized the importance of American energy independence. Thinking people know that there is a direct correlation between the high cost of foreign-supplied oil and every sector of our economy. Being on the left means never having to read the news. The economy depends on energy independence, stupid!